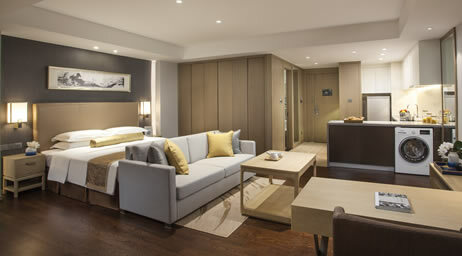 Somerset Yangtze River Chongqing is a brand by The Ascott Limited, a member of CapitaLand. 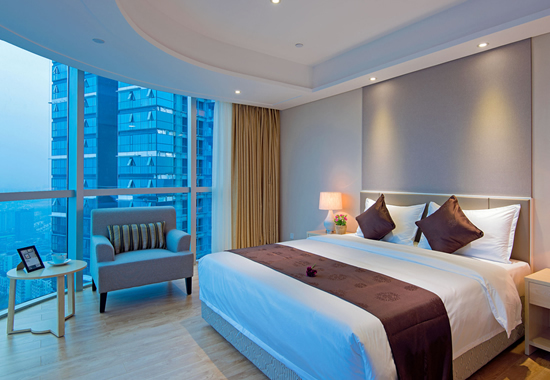 It is one of the leading international serviced residence owner-operators with more than 500 properties in over 120 cities across the Americas, Asia Pacific, Europe and the Middle East. 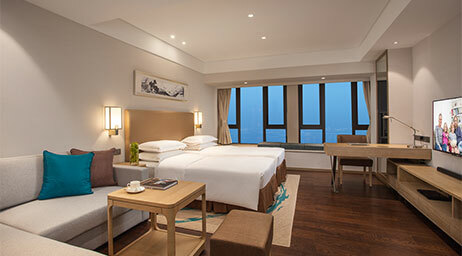 Its portfolio of brands includes Ascott, Citadines, Somerset, Quest, The Crest Collection and lyf. 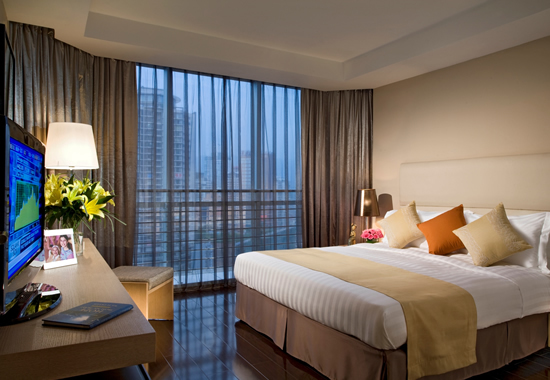 Located along Changjiang Binjiang Road of the Yuzhong district, Somerset Yangtze River Chongqing is ideally positioned in the heart of Chongqing’s bustling financial centre.The residence has a total of 28 floors and guests can enjoy multi-perspective views of the Yangtze River and its amazing night scene of Nanbin district from their apartments. 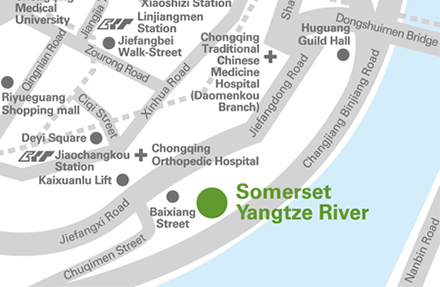 Somerset Yangtze River Chongqing is only minutes away from the historical Huguang Hui Guan and Chaotian Gate, a 5minute walk to the famous JieFangBei Business Centre, 25-minute drive to Chongqing North train station, and 35-minute drive to Chongqing Jiangbei International Airport. The nearest subway line Lin Jiang Men station is within walking distance, providing easy transfer to any corner of the city. 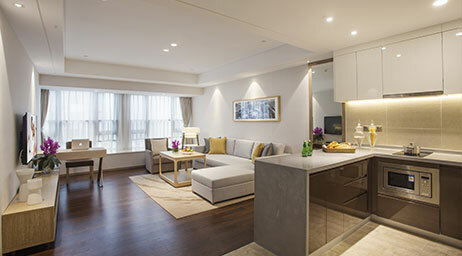 Somerset Yangtze River Chongqing offers 172 elegant and cozy apartments ranging from studio to three-bedroom apartments with a mixture of traditional and modern styles; specially designed for international travellers. Each apartment has separate living and dining areas, a fully-equipped kitchen, and a state-of-the-art home entertainment system. The residence offers a wide range of unique facilities from the all-day dining restaurant, reading lounge to the outdoor swimming pool and fully-equipped gymnasium for residents to relax and unwind after a work day, delivering a truly global living experience. 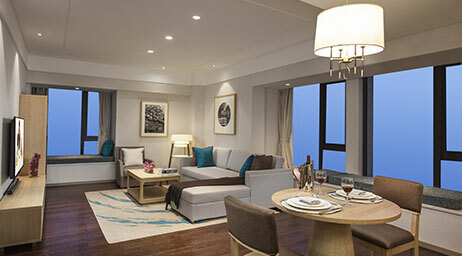 Somerset Yangtze River Chongqing is one of a premier collection of The Ascott Limited's serviced residences in over 101 cities in the Americas, Asia Pacific, Europe and the middle east. A member of CapitaLand, it is the global leader in branded serviced residences, bringing you more than 30 years' experience in supporting travellers who work and live away from home. Live the life you desire with the Ascott Lifestyle, a collection of lifestyle experiences handpicked for your indulgence during your stay. Because life is about living.